At one point in time or another, most of us would have seen videos of Singaporeans involved in different situations of conflict. We might even have been part of these unpleasant encounters ourselves. But do we ever stop to think about why Singaporeans are so angry? 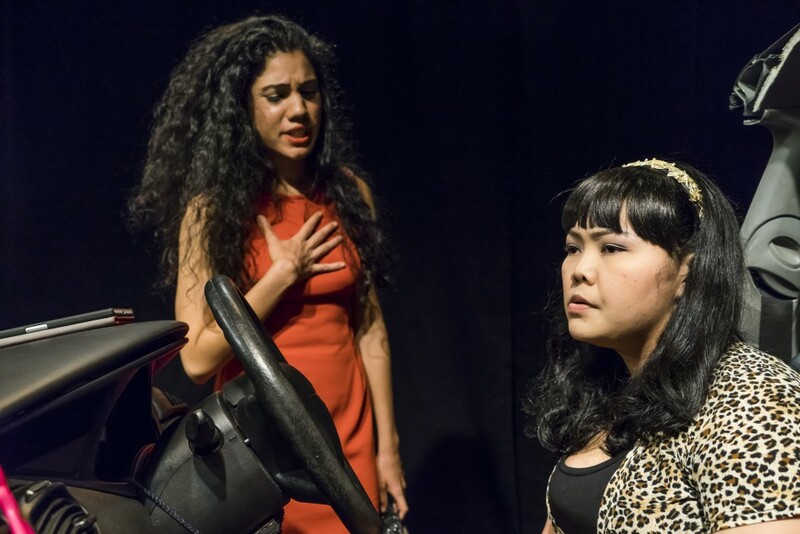 Poor Thing by The Necessary Stage (TNS) explores this phenomenon through the seemingly regular occurrence of road rage. One significant element of Poor Thing was definitely the inclusion of the audience in the production. 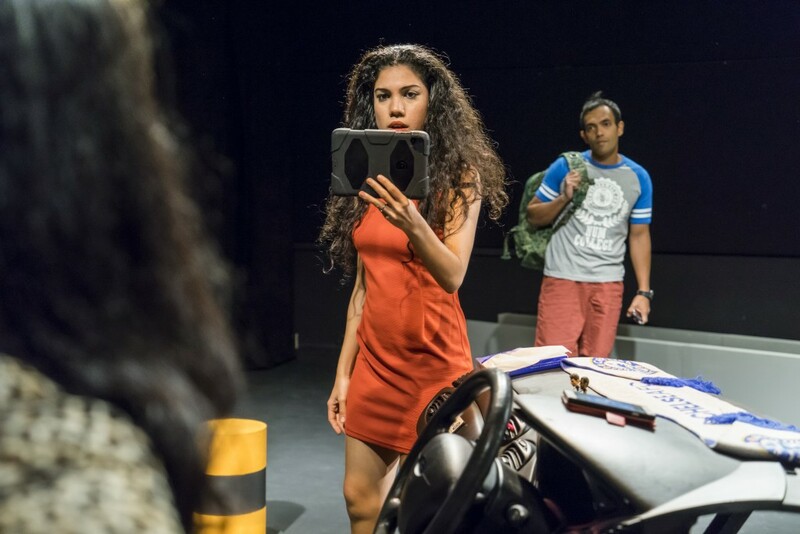 TNS’s black box venue was transformed to resemble the site of a car accident, with audiences sitting around the ‘road’ and watching the action unfold. Actors often came within a few feet of the audience as well, incorporating them as part of the same space. Thanks to social media, the audience is invited to be an active participant even before watching the show. Attendees are asked to befriend one of the characters of the play on Facebook, and we’re given a little glimpse into his background and life in the form of status updates and personal pictures. Theatre-goers are also able to comment on videos uploaded by the character during the performance itself. TNS’s efforts to incorporate social media into Poor Thing are indeed applaudable. Given an online identity, characters are made more accessible and relatable when we finally encounter them face- to-face. 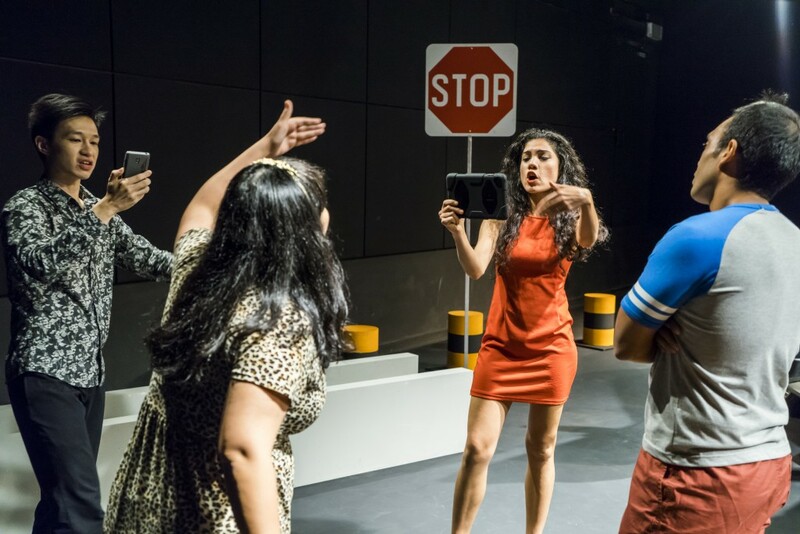 The play also explores the assertion that sites like Facebook may serve as democratized platforms where everyone is free to assert their rights. Though there are arguments favouring this position, Poor Thing reflects how videos uploaded on social media may in fact cause individuals to be misunderstood and labelled as ‘out-of-control’ or ‘irrational’. Often times the line between ‘perpetrator’ and ‘victim’ is rather ambiguous, and blame is usually cast on those in front of the camera lens rather than behind it. Performances were strong and consistent amongst all cast members as well, given the emotional and physical demands of the script. Characters were frequently involved in shouting matches with one another,with a fair bit of racial insults and vulgarities being hurled. Their fights even culminated in an on-the-ground tussle between the men. Although much violence and anger was required, the actors successfully managed to tap into the nuances and vulnerabilities of their characters as well. Sharda Harrison’s performance proved to be particularly commendable, especially in the final moments of the play where her character,mentally drained from the accident,breaks down whilst talking to her young daughter on the phone. Despite the doom and gloom, apologies are extended at the end of the day, and even a genuinely sincere offer to call a cab for the other party so that they can return home. Even though the characters don’t kiss and make up, Poor Thing does hint at the possibility of reconciliation and acceptance despite deep-seated divisions and prejudices. Whilst acknowledging the fact that there are no easy solutions, the play does offer hope that Singaporeans don’t have to remain angry forever.